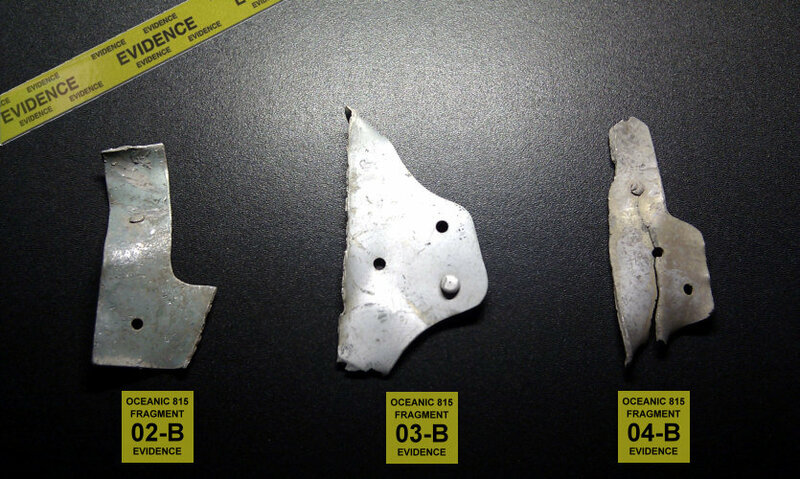 This are three authentic Oceanic Airlines Flight 815 airplane fragments found at the LOST Season 1 filming site at Mokule'ia Beach, North Shore Oahu, Hawaii. 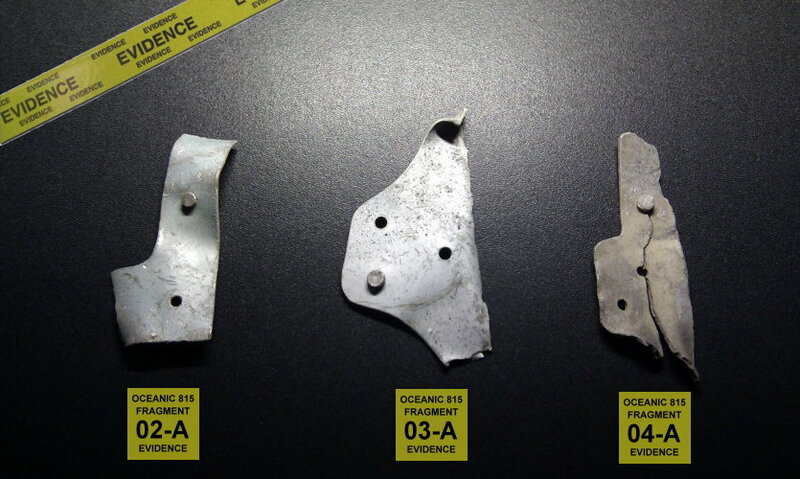 The pieces were collected after filming was completed and the LOST crew had removed the wreckage from the scene and left the area completely. Mid-air break-up of Oceanic Flight 815. The airplane crashes onto a beach. Chaos of the wrecked mid-section of Oceanic Airlines Flight 815. Burning jet engine inside a beautiful landscape with a stressed Jack Shephard.